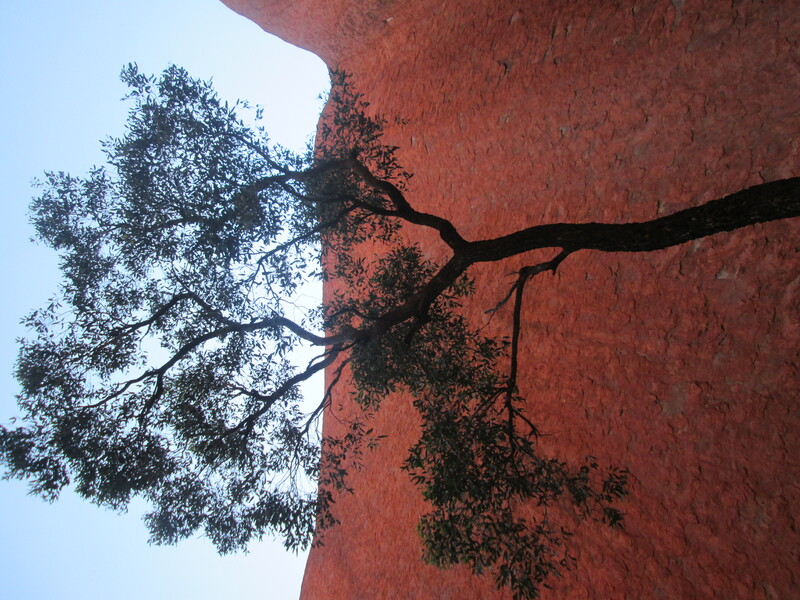 After a very good night sleep, we are ready to explore the Uluru-Kata Tjuta National Park (info here). To enter the park there is an admission ticket of 25$ per adult (children go free), it’s a three-day pass, really worth it. We start our visit from the information centre but we don’t find it that informative. 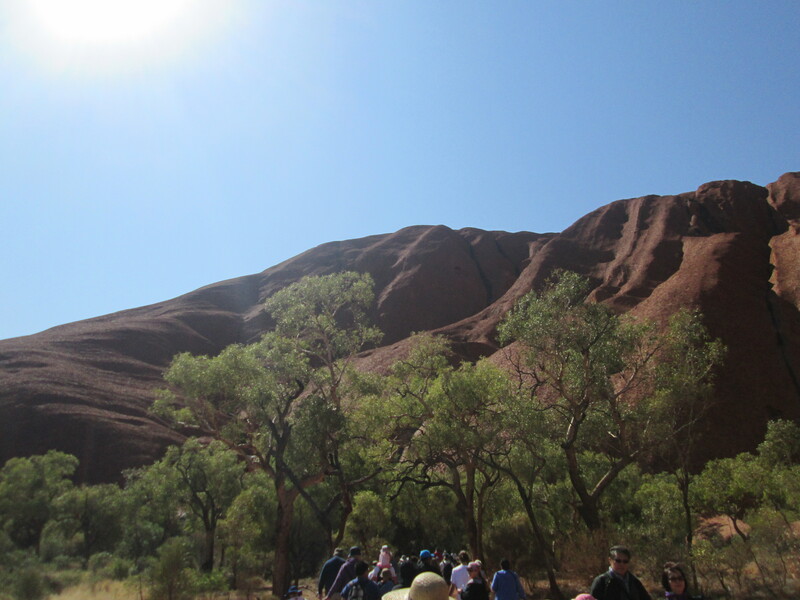 On the other side, we find out there is a free guided tour of Uluru in the morning and we are very happy to take part in the tour. 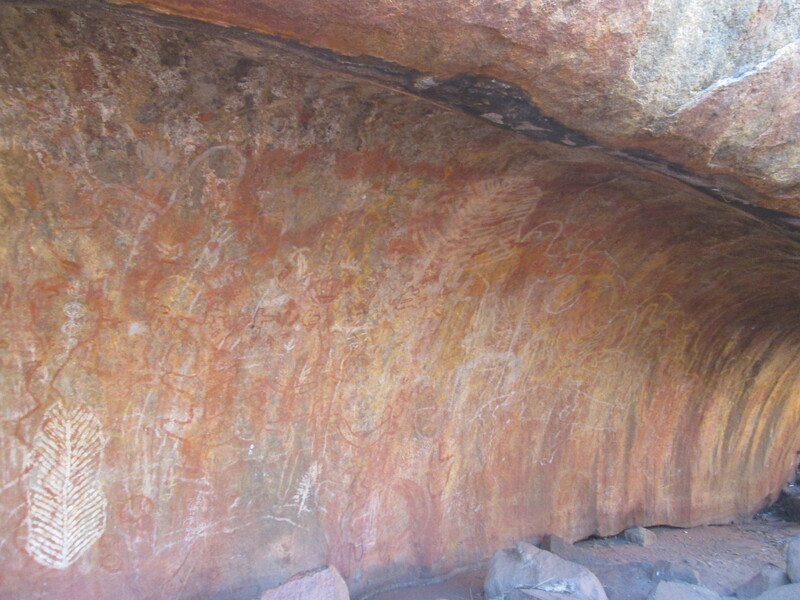 Our guide is very passionate about the Aboriginal culture and gives us plenty of information about this place while we walk around and stop at the most “important” spots. this was the place where the boys used to sit and learn from the eldest with the help of pictures on the wall. They learnt various things such as how to recognise important plants to eat or how to defend themselves from snakes. beautiful red colour but the guide says that originally it was kind of grey, now it’s rusty! 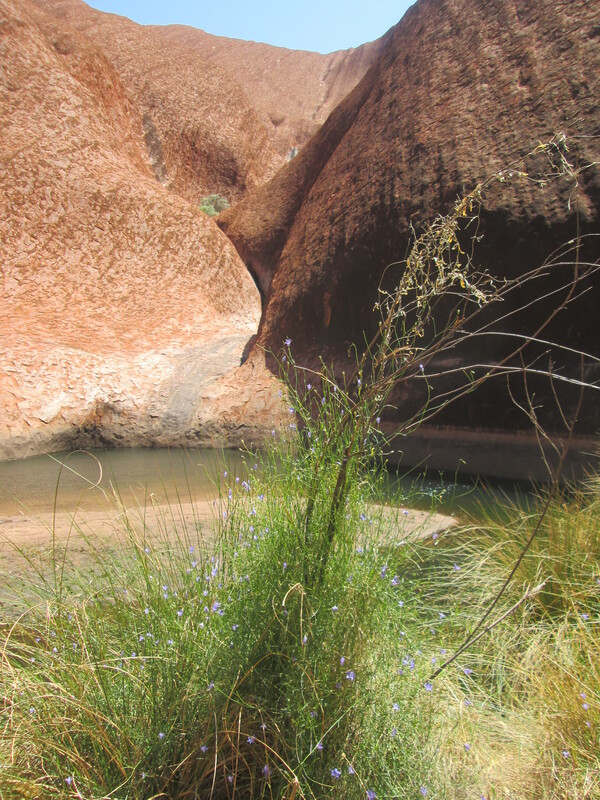 Uluru was a very important place where to find drinkable water (rainy water) and go hunting for animals who also came here to drink. This was a very good spot to teach the kids how to hun. 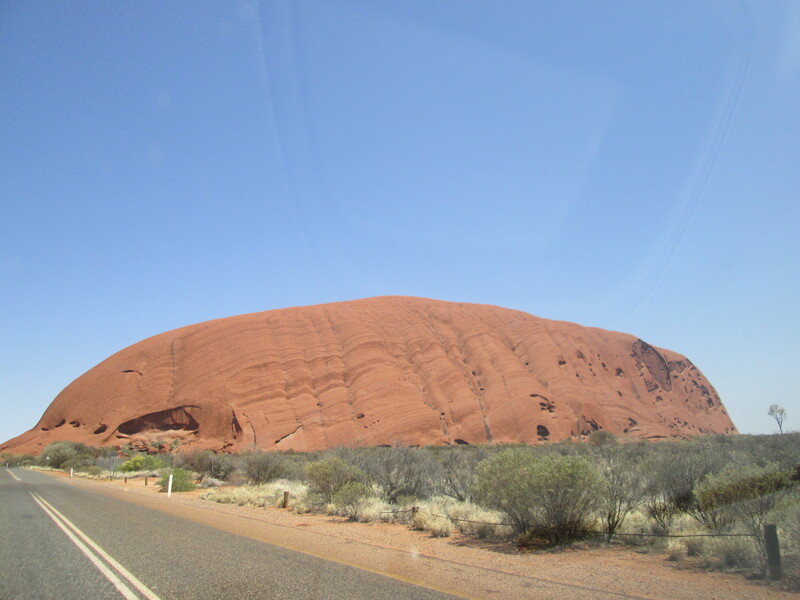 I’ve learnt so many things and most of all how important this place has been for centuries for the Aboriginal people; I now know a little bit more about it and I can say for sure that this is NOT “just a rock in the middle of nowhere!”. 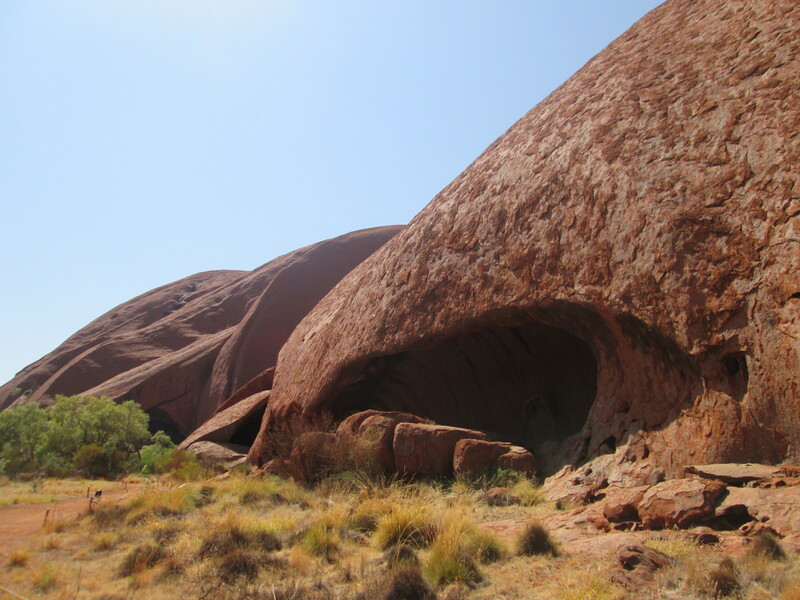 I’ve lived in Australia for 49 years now, and I’ve never been to Uluru! Shame on me. It’s the kind of thing you don’t do because you think there is always time to do it. As I’m going to move soon, I’m trying to see as many places as possible in Australia. 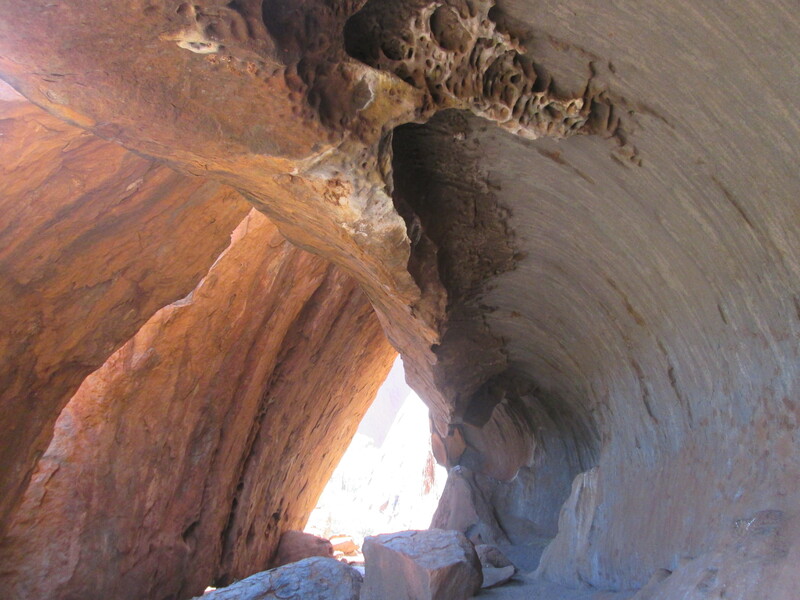 Please go and visit it at some point in your life, it’s so beautiful!